This is a feature in the Venue Spotlight series, where we will periodically showcase exceptional venues on Wedding Spot. We know that there are so many venues for you to choose from so we want to highlight some of our favorites. Follow us on Facebook to make sure you don’t miss out on any of these amazing venues! Tucked away at the foot of the Ramapo Mountains, Valley Rock Inn and Mountain Club offers a charming yet luxurious getaway for your wedding day. Beautifully restored and designed by tastemaker Michael Bruno, the founder of 1stdibs - the online marketplace for the most beautiful things on earth, and the recent recipient of The Preservation League of New York State’s award for historic restoration. 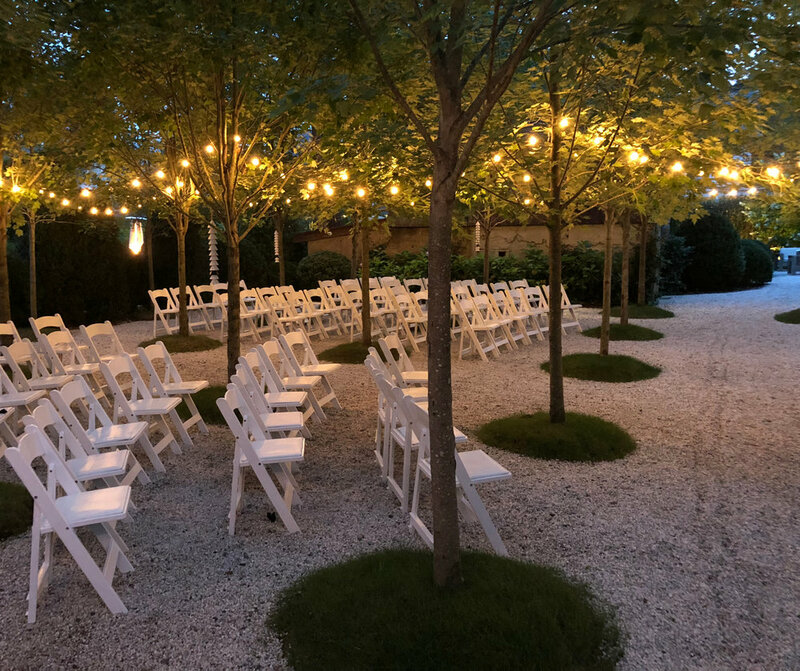 The extraordinary compound of 12 buildings dating back to 1840 has lush gardens that create a picturesque setting for soon-to-be-wed couples that will make you feel you have gone to Europe, yet it is only 30 minutes away from the George Washington Bridge. This Hudson Valley wedding venue is the ideal setting for couples searching for a location that seamlessly combines historic beauty with luxurious contemporary amenities. Envision yourself walking down the aisle surrounded by the lush foliage of one of the property’s many gardens, exchanging your “I do’s” while basking in the sweet bliss of new love and floral scents. Imagine sharing your first kiss as spouses beneath the shadow of towering trees in the secluded Shade Garden followed by champagne toasts in the Rose Garden, then on to dinner in the sunset pavilion. If you wish to channel the effortless charm of an old-world barn, the Rusticator Lodge provides the perfect spot. Formerly a 19th-century hook and ladder firehouse, this beautifully restored space feels more like a European Mansion than a barn with its towering gambrel ceilings and four oversized fireplaces, offering views of the pool and gardens. 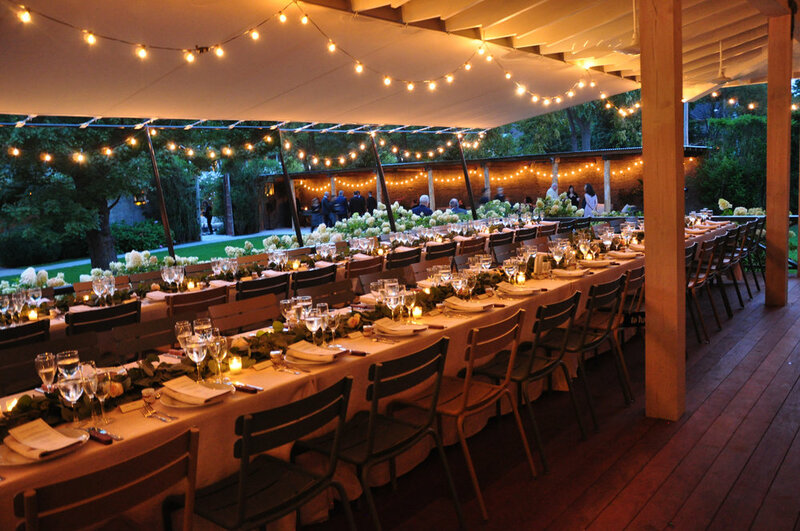 Any combination of these spaces can be utilized to create the perfect setting for up to 120 people for a seated affair. For larger events, a tent can be installed on the great lawn surrounded by the summer lounge and the sunset pavilion with bar for up to 250 guests. With so many venues to choose from on one property you can have a rehearsal dinner and a Sunday brunch and never eat in the same space twice. Valley Rock Inn and Mountain Club is the perfect destination for fitness enthusiasts. On site, there is a brand new 7,000 sq ft gym with spin and yoga rooms and two floors of circuit training; the inn has its own fleet of bikes and offers guides to take you and your guests out hiking and biking in the 70,000 acres of parkland that surround the property. With four guest houses worthy of an Architectural Digest photoshoot and 17 bedrooms with Frette lines you will never want to leave. Love this venue? Find pricing and book your venue for Valley Rock Inn! 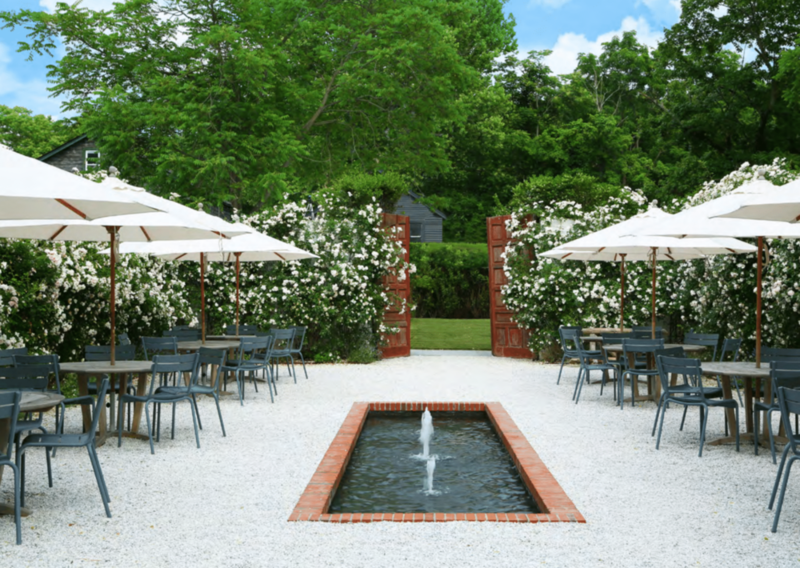 Check out our collection of top wedding venues in Westchester/Hudson Valley, New York. Feb 14 Our 2019 Wedding Spot Awards Are Finally Here!